A range of Major Nichols Merchandise is available from MN Marque Enthusiast Alvin Smith. All shirts in sizes from 6 months old to XXL and available in all colours. Tees are £16, polos at £18, sweatshirts at £22. 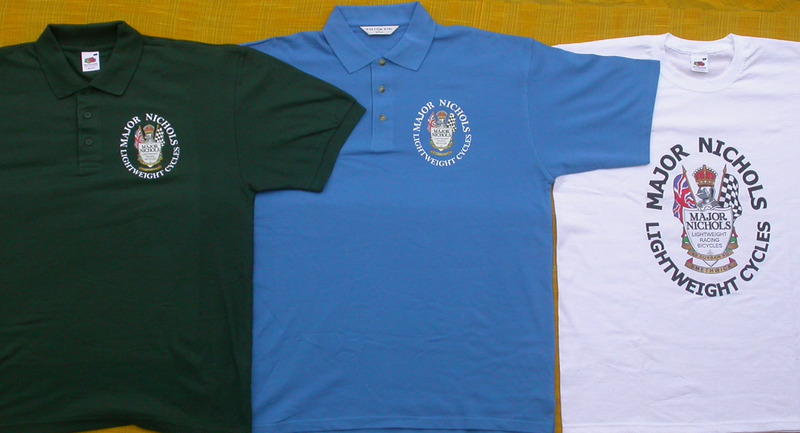 Tee shirts with large insignia on centre of chest, polo and sweatshirts with smaller breast insignia. This year I am offering at £10 each one size fits all US style cap with any MN insignia style. Please indicate the size (S, M, L, XL, XXL), garment colour and insignia code you want and state the number of garments, badges or caps required. Please note that the badges are only black or white. Please enquire about overseas postage costs.